Home › TrustLogo › Symantec Seal-In-Search: what is it and why is it necessary? Symantec Seal-In-Search: what is it and why is it necessary? User safety is an important aspect for social networks, simple blogs, business and government websites. If the user trusts in your website and is confident that he won’t face a deception, then he will surely place an order for something that is available on your site. We live in the era of smartphones and tablets. Large number of users browse the Web quite frequently. Taking in consideration the fact that many of them are searching for various websites using search engines, it is important to understand that attracting them would be much easier with useful features. For example, display the Trust Logo icon in the search results next to the website. All certificates from Symantec have built-in capability Seal-in-Search. All Symantec certificates supplied with Seal-in-search, which allows you to display the icon Norton Secured Seal next to the information about your company in the search engine results. Seal-in-search is shown in the browser with a special plugin. You can download the free plug-in AVG LinkScanner, which will display the Seal-In-Search icon next to the relevant sites protected by SSL Symantec. If the site is protected with Symantec SSL certificate, it will have a guaranteed high ranks and hold a high positions in the search results. 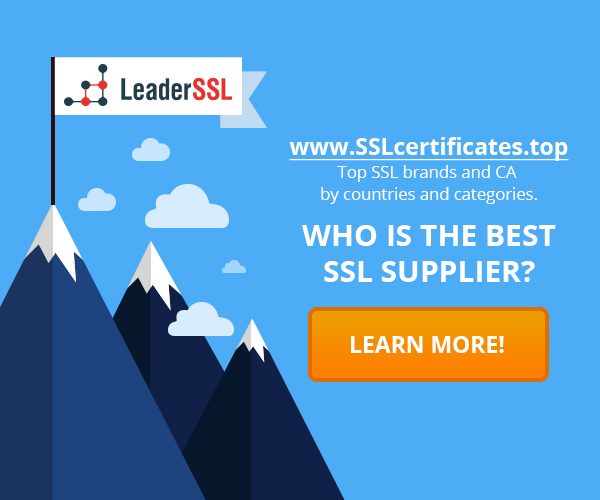 Furthermore, if the site is protected by SSL-certificate, it is proven to be safe for users. You can safely browse and purchase various goods on this website. The Baymard Institute study shows, that Norton Site Seal icon is the most recognizable among the users. What are the advantages of the Seal-In-Search? There are numerous benefits of using Seal-in-Search. For example, the icon allows you to increase the level of user confidence in your site by ensuring them that nobody will steal their identity while they will be browsing on your website. Seal-in-Search shows that your site has been inspected and is secure and trusted by Symantec, and your business is trustworthy. Symantec found that after the installation of Symantec SSL certificate there is a correlated increase in conversions. People are not afraid to enter their personal data on sites protected by SSL certificate, they are more confident that their identity will not be stolen if they will make a purchase which will result in increase of the number of conversions therefore you will be able to offer goods to the maximum number of users. Seal-in-Search is compatible with all major search engines like Google, Yahoo, Bing, Ask. As a summary Symantec Seal-in-Search is a very important feature that is recommended to be used by all business owners.